With saddened hearts. Harts Police officer Susan Farrell has gone 10-42...... Thank you for services. You will missed but not forgotten. Thank you for your service and sacrifice. Rest In Peace Officer Farrell. Our deepest heartfelt condolences to all of your family, friends, and brothers and sisters at Des Moines Police Department. Rest in Peace My Sister in Blue. "Blessed are the Peacemakers for they shall be Called Sons of God." God bless you my sister. Thank you for your service and sacrifice. May His healing hand touch your family, friends, and fellow officers. Rest easy my sister, we'll take the watch from here. You were a protector of the peace - thank you for your service. Our thoughts and prayers are with you and your family. RIP Sister. God Bless. God welcome you into Heaven sister. I pray your family has the strength to cope with your death and may perpetual life shine upon you. Rest in Peace Officer Farrell. Thank you for your service. My thoughts and prayers are with the Farrell Family and the Des Moines Police Department. My deepest condolences for your loss. Times like this can be very difficult, so pray constantly. Phillipians 4:6-7 admonishes us to throw our anxiety on our Heavenly Father who in turn will strengthen you and place peace upon your mind and heart. I hope you all are able to find comfort and heal very soon. Rest with God officer Farrell. Prayers for your family during this time in their lives. Your dedicated service will not be forgotten. Thank you for your courage , dedication and service. You will be missed, you are 10-42 we'll take it from here. Thank you for your service and dedication you will be missed you are 10-42 we will take it from here. May you rest in peace hero. May God watch over and comfort your family and brothers and sisters in blue and may he hold them in his loving arms. Rest In Peace .You will never be forgotten. Prayers for your family and co workers. Rest in peace sister and thank you for your service. As you join our brothers and sisters in the hall of heroes, my thoughts and prayers are with you and your family. You are now in the hands of Our Heavenly Father, in a beautiful place where you're at peace and in the company of your beloved family who have passed before you. You will be missed and never forgotten by those who knew and loved you. I did not have the privilege of knowing you; however, I will miss your spirit of service. God bless you and those who are left behind. Your Sister in Christ, Alexis from Michigan. RIP Brother and Sister, RIP. RIP Sister. May God be with your Family and loved ones. Rest easy now. 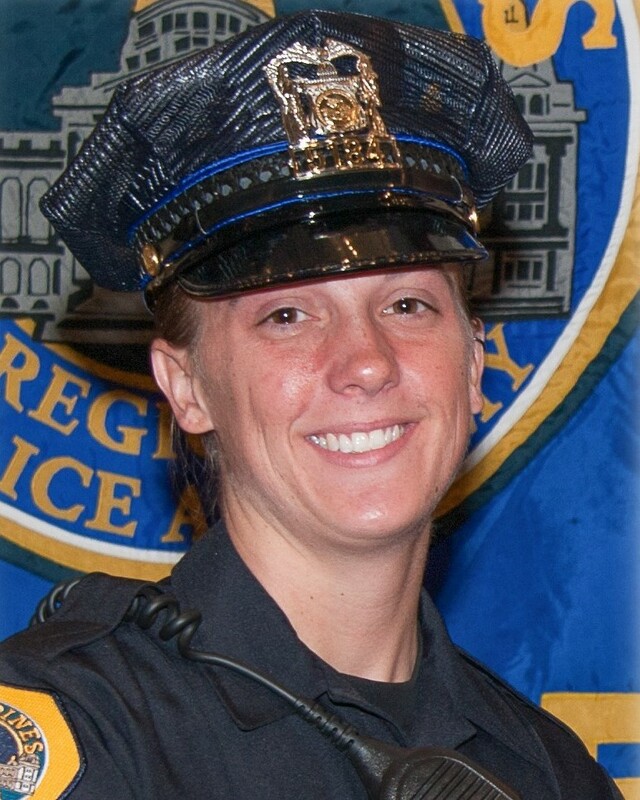 Rest in Peace Police Officer Susan Farrell. Thank you for your service to this country and your community. My thoughts and prayers are with your family and your department at this time.